In the traditional model for building or remodeling a home or commercial building, you would search for an architectural firm to have your home plans drawn up and then shop for builders who are willing to bid on the project. But now you are able to save both time and money by choosing a design-build contractor for your next home or commercial construction project. Selecting a design-build contractor means that the builder or firm you work with will build your home and assume responsibility for both the architectural design and building completion of the construction project. Design & build construction companies in Napa County provide a variety of contracting services for residential and commercial clients. In addition to constructing custom homes, remodeling bathrooms and kitchens, and offering commercial tenant improvements, design & build contractors can build home additions, decks, stairs, retaining walls, and other hardscapes. 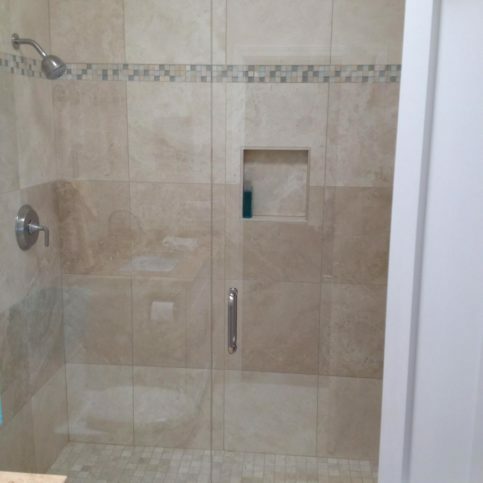 They manage every phase of the construction process for their clients, including installing windows, plumbing, roofing, electrical systems, flooring, and drywall. Because of its design/build capabilities, design & build contractors offer both architectural and engineering design services that provide complete project management from beginning to end. Design & build teams assume risk which eliminates additional risk added by several various contractors. Better quality because design & build contractors meet performance needs rather than minimum design requirements. This leads to developing innovations that deliver a better completed project than initially envisioned. Overall improved quality as reputable design & build contractors have quality sub contractors. Usually they use the same sub-contractors on a regular basis so they know who is dependable and who is not. Due to the flexibility of changing things midstream, this can affect costs and timelines. 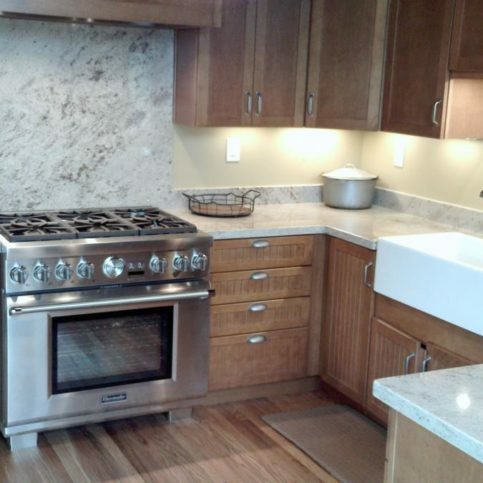 Projects can quickly go over budget if your project ends up with several additional upgrades. Make sure that you choose a reputable design & build company in order to offset this problem. When you are searching for a design-build contractor in Napa County, including the larger cities of Napa, American Canyon, St. Helena, Calistoga, and Yountville , check to see if they have already build a home similar to the one you are looking for. If so, it will be rather easy for them to modify the plan. They will also understand the permitting process and have ideas of what could improve the design. Make sure to check references of any design & build contractor. Request two positive references as well as a reference that may not be so positive. Ask if there are any homes that they designed and built that you can view. 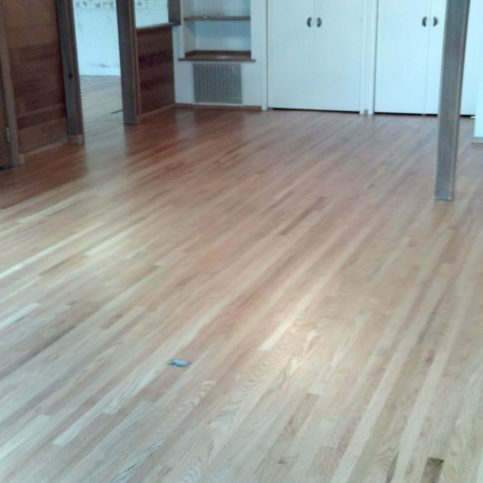 Also, be sure to find out what types of interior finishing products they use. Make sure this person is someone whom you can see yourself working with for the next three months happily. Be sure to check several potential design & build contractors for your building project. Give identical copies of detailed project plans to each potential candidate for a quote. You should get at least three different quotes before making your final selection. 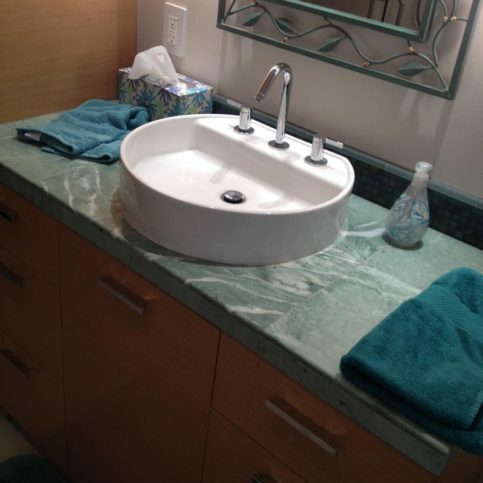 Also, make sure the quote includes materials and fixtures that meet your project specifications. Because a design-build company building your home will save you time, money and stress, make sure to do your homework and find a quality company to do business with. This way you will have done everything possible to end up with a beautiful home that brings you happiness. Why Trust Diamond Certified Design and Build Contractors Rated Highest in Quality? 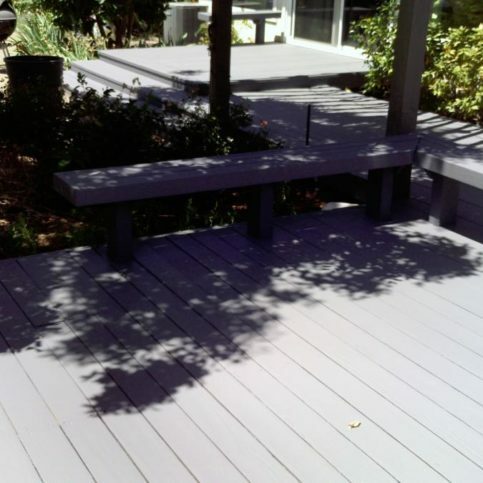 Many factors should be considered before selecting a design & build contractor in Napa County, including the smaller cities of the Angwin, Deer Park, Oakville, Pope Valley, and Rutherford, that will meet your needs the most successfully. Write down everything that you’re searching for before you begin your research. Consider the following questions before making your final selection of a design & build contractor. 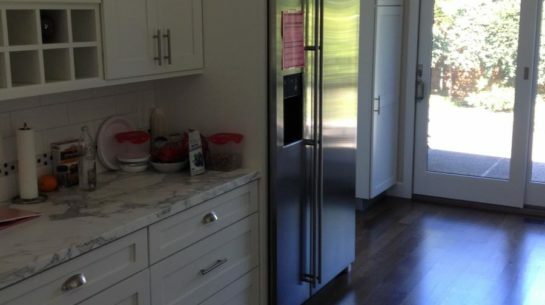 What do I want remodeled or built? What is the time frame for completing the build & design project? Are there any changes I’d like to make personally before to the design/build team begins construction in order to offset costs? The next step is to interview design & build contractors in Napa County, including the larger cities of Napa, American Canyon, St. Helena, Calistoga, and Yountville. Questions you may want to ask include the following. What professional organizations are you a member of? How do you perform your work—what time do you start, how will you protect my carpets, how will you handle trash and debris, etc. How many projects that are similar to mine have you completed in the last year? How do the residential general contractors in Napa County price building construction? Will construction permits be needed? If so, will the general contractors be responsible for getting them? Do the construction firms hire subcontractors or do the general contractors and their employees perform the work? Does the general contractor carry workers’ compensation and liability insurance? 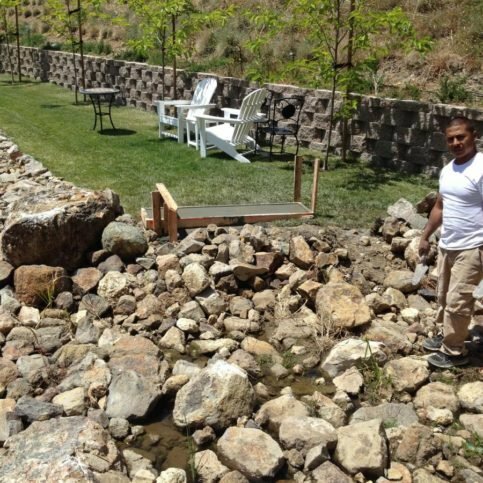 How and when do the Napa County general contractors clean up the construction site? What type of warranty does each of the construction companies provide and what are the terms? Do the general contractors specialize in the type of work you need? If so, ask the builders to provide some examples of similar work in Napa County they have completed. What will the construction companies’ timing be on bidding and completing the home construction? It’s best to choose a Diamond Certified design & build contractor because all certified companies have passed an in-depth ratings process that most other companies can’t pass. 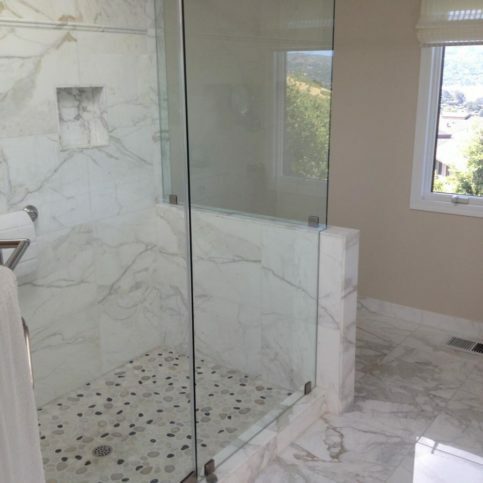 If you want quality contractor work in Napa County and the greater Bay Area, you can have confidence choosing a Diamond Certified company. Diamond Certified reports are available online for all certified companies. And you’ll never be fooled by fake reviews. That’s because all research is performed in live telephone interviews of actual customers. If you can’t find a Diamond Certified design & build contractor within reach, you’ll have to do some research on your own. If you do, it’s wise to call some references provided by your design & build contractor. Keep in mind, though, that references provided to you by the design & build contractor are not equal in value to the large random sample of customers surveyed during the Diamond Certified ratings process. That’s because references given to customers from companies are cherry-picked instead of randomly selected from all their customers. So the contractors will likely give you a few customers to call that they know are satisfied. Did the contractor provide answers to questions to your satisfaction? Were there any unexpected costs? If so, what? Did the design & build contractor show up on time? Did they finish the job on time? If you need a design & build contractor in the future, will you consider hiring this general contractor? Were you satisfied with the service from the (design & build contractor name)? 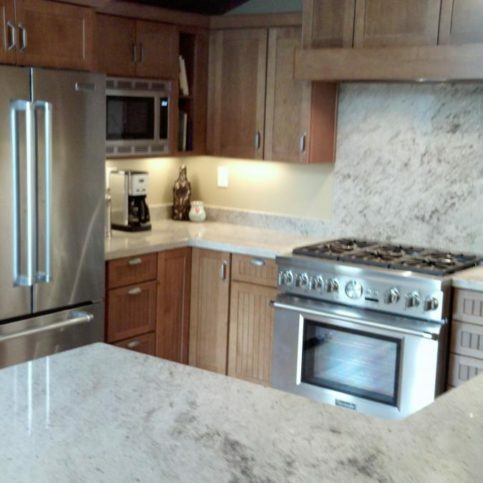 What type of design & build project did you hire the general contractor to complete? 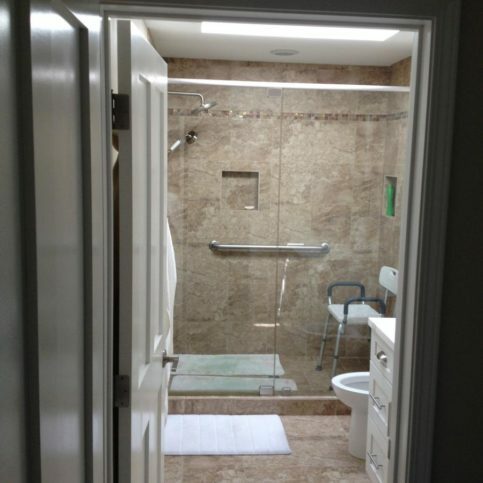 Do you feel like the general contractor charged a fair price for the quality of the work? Did the contractor seem receptive to your input? 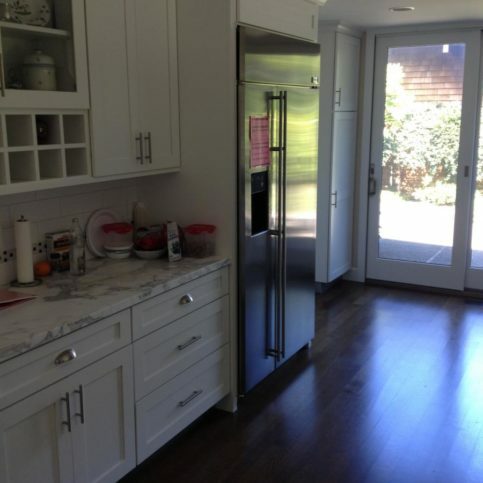 Did the general contractor clean up after completing the job? Would you recommend this design & build contractor to your family and friends? Your choice of design & build contractor is important to you and your family. So before deciding on the best design & build contractor in Napa County for you, it’s important to consider the following questions. Does my general contractor of choice have good references that I have checked? Is my design & build contractor of choice charging a reasonable price for quality work on my design & build project? 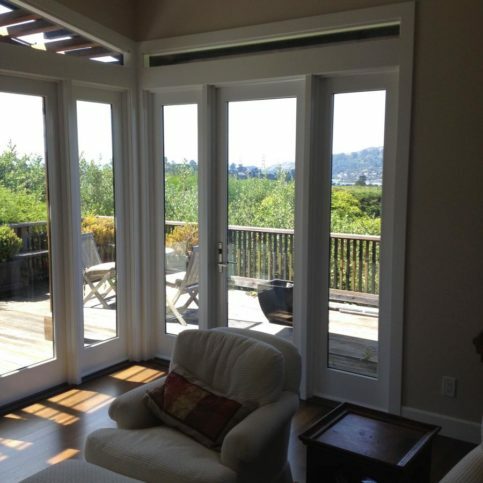 Which general contractors in Napa County offer the better warranty for the overall cost? Is my design & build contractor of choice listed in the Better Business Bureau as having complaints filed against him? If so, were they valid complaints that required disciplinary action? What is my time frame for this design & build project: when do I intend to start it and when do I need to have it accomplished? Is my design & build contractor of choice well-established in the community? Once you’ve hired a design-build company in Napa County, including the smaller cities of Angwin, Deer Park, Oakville, Pope Valley, and Rutherford, you will have an initial meeting between you and the contractor to discuss your requirements and the contractor’s qualifications. An estimate of the projects and its feasibility is drawn out. Furthermore, you will discuss the budget and design of the project as well as any restrictions and permissions that will be needed. 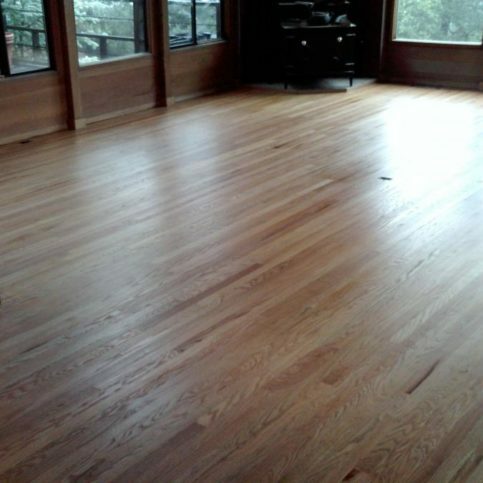 The contractor will provide you with an estimate based on the design specifications. He will also offer choices in terms of designs and construction. Once the final contract has been drawn, the next step will be applying for permission. Last of all, the construction and financing process will begin. A clear, concise, and complete description of the project, including start and completion dates. It should also include who will be responsible for each aspect of the project. Contractor’s name, physical address, mailing address and phone. Terms of payment schedule as well as the payment schedule for the contractor, subcontractor(s) and suppliers. Who will be responsible for obtaining necessary permits (this is usually the contractor). Warranties should be written and the length of time as well as limitations should be covered. Warranties should cover materials and workmanship, and names and addresses of the warrantor. This may include the contractor, manufacturer, and distributor. 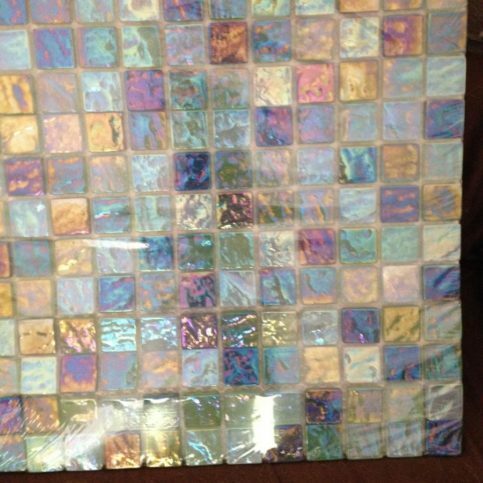 Detailed materials list: product, size, color, type, model, and brand name. Any additional or alternate materials that may be used if necessary should also be listed. How “change orders” will be handled. Any changes or additions to the project should be written up in the contract so that the conditions for change are pre-determined. Furthermore, the contract should list how and when payment will be made for adjustments. Because change orders are common aspects of most remodeling jobs, it is common for remodelers to require payment before the work actually starts. Do not sign a contract or any document until you have thoroughly read through it and filled in any blank spaces. Do not sign a contract that uses vague terms. Make sure that all terms are specific regarding project requirements and the work that will be performed. Don’t agree to finance your project through your contractor. Shop around for better loan terms. Agree to make payments as the project progresses, contingent upon completion of a determined amount of work. This way, if work on the project is delayed, payment will be delayed as well. Before deeding your property, be sure to first consult an attorney or knowledgeable friend or family member. Do not make final payment until the work completed meets agreed upon specifications, building code requirements, and that subcontractors and suppliers have all been paid. It’s the design & build contractor’s responsibility to complete a successful design & build project for you according to your specifications. But you play a big part in the success of your design & build contractor, too. Here are a few simple steps you can take to be a good customer when hiring a Napa County design & build contractor. Be clear and upfront with the design & build contractor. Let them know what you want from your design & build contractor, the long-term outcome you’re expecting and specific ways they can satisfy your expectations. Ask your design & build contractor if you should call to check on the progress or if he will call you with updates. Be sure your design & build contractor has a phone number where they can reach you at all times while they’re completing your design and build project. 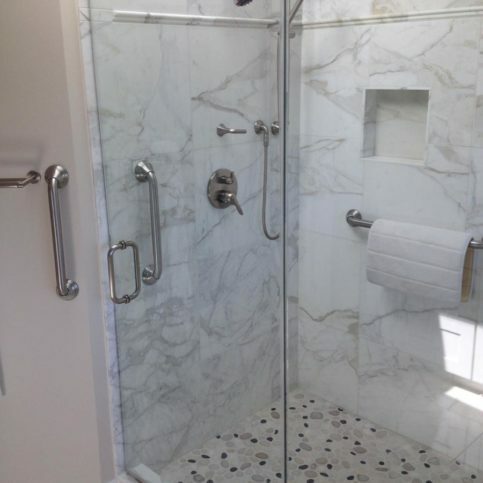 The work will move along more smoothly if your design & build contractor can reach you for any necessary updates, questions or work authorizations. When your design & build contractor contacts you, return calls promptly to keep the design & build contract work on schedule. Before you hire a design & build contractor in Napa County, including the larger cities of Napa, American Canyon, St. Helena, Calistoga, and Yountville , restate your expectations and goals, and reiterate to the design & build contractor your understanding of the agreement. Most problems with local design & build contractors occur because of a breakdown in communication. By being clear about your expectations and theirs, you can avoid most conflicts. Pay for the design & build contractor’s work promptly. Why would you want to be a good customer? 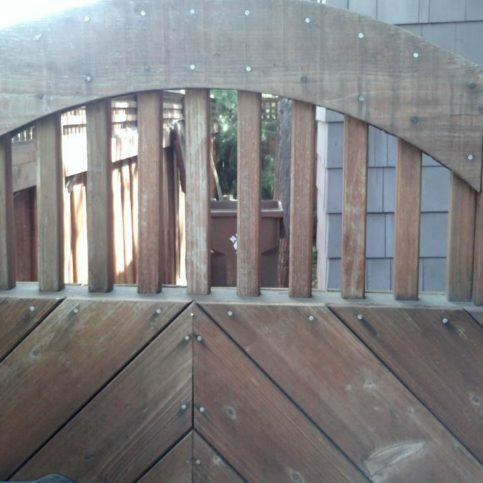 Design & build contractors in Napa County appreciate customers who are straightforward, honest and easy to work with. Your good customer behavior sets the tone from your end and creates an environment conducive to a good relationship. Things may very well go smoother and any problems may be more easily resolved. Your responsibility in the case of a problem with the building project and what you need to do in order to redeem the warranty. If the design & build contractor warranty coverage is transferrable to the new owner in the event that you sell the home or building in which the contractor has designed and built. The length of time as well as limitations should be covered. Warranties should cover materials and workmanship, and names and addresses of the warrantor. This may include the contractor, manufacturer, and distributor. 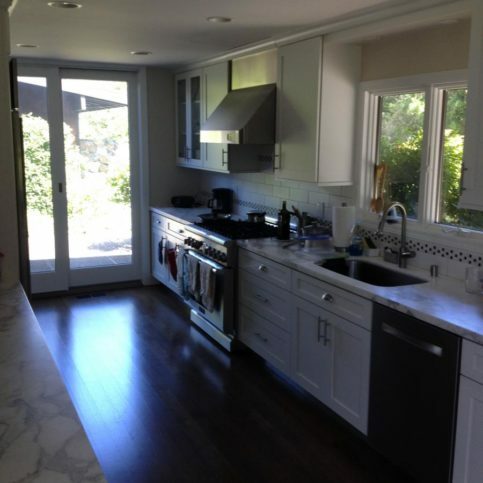 Design & build contractors in Napa County, including the larger cities of Napa, American Canyon, St. Helena, Calistoga, and Yountville, provide all types of design and build projects. Following is a list of the most popular projects. Green homes are built using a process that is environmentally responsible and resource-efficient throughout the building’s life-cycle. This “green” process includes design, construction, operation, maintenance, renovation, and demolition. The purpose of a “green” home is to reduce the overall impact of the home on the human health and natural environment. Luxury homes are high-end homes in affluent communities. The high-end status is determined by location, property entry, architecture, décor, decadent amenities, entertainment capability, grounds, etc. A split-level home is similar to a ranch home. It features three levels of living space on a floor plan that makes economical use of the building lot. Home additions can be added to your home in order to increase its value and comfort. These additions include sunrooms, pop-top home additions, multi-level additions, or multi-room additions. A-frame houses feature steeply-angled sides that usually begin at or near the foundation line and meet at the top, creating a home that looks like the letter A. A beach home is a home designed for the beach. Typically beach homes are a form of a vacation home rather than a permanent residence. Victorian homes are usually two story homes with steep roof pitches, turrets, and dormers. Typically a Victorian home has a large porch as well. Craftsman homes is an American architectural design tht began in the last years of the 19th century. It has its origins from the British arts and crafts movement, emphasizing the hand-made over the mass-produced. Craftsman homes feature simplicity of form, local natural materials, and visibility of handicraft. Log homes are structurally identical to log cabins because they are made from logs that have not been milled into conventional lumber. Reminiscent of homes on alpine ski slopes, chalet style homes are rustic homes based on Swiss alpine cottages. They have a rectangular shape, big lofts, large windows, and steep gabled roofs. Below are key design/build contractor terms and descriptions that will help you through your design and build project. A blueprint is a paper reproduction of an architectural design. Usually these paper drawings are on white paper with blue lines but it is a generic term for any detailed architectural design. A written order to the contractor that details changes to the specified work quantities or modifications that are in the original contract. This is a reference to constructing a commercial building that will be used for business purposes. A commercial building is a building used for commercial use. Types include retail, such as convenience stores, shopping malls, etc., warehouses, and office buildings. Custom home designs are designs for home that are modern and unique. This is a reference to a project delivery system used in the construction industry. In this method, the design and construction services are contracted by a single contractor or business known as the design-build contractor. 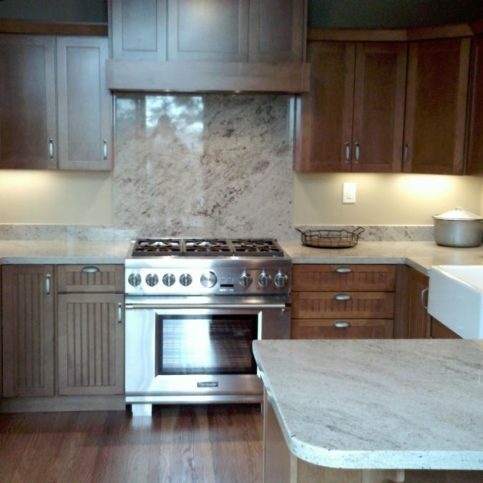 Designers have expertise in certain areas of home remodeling and decor, such as kitchens or bathrooms. This is a type of construction in which the exterior view of a property is designed and built by a single entity known as the design-build contractor. General contractors manage all aspects of a project. This includes hiring and supervising subcontractors, obtaining materials and building permits, and scheduling inspections. High-end homes are luxurious homes in affluent communities. The high-end status is determined by location, property entry, architecture, decor, decadent amenities, entertainment capability, grounds, etc. This is a reference to the design and construction services being contracted by a single contractor or business known as the design-build contractor to add an additional room or rooms to a home. This is the blueprint or design for a home that is typically drawn up by an architect. In this method, the design and construction services are contracted by a single contractor or business known as the design-build contractor to remodel a home. In this method, the design and construction services are contracted by a single contractor or business known as the design-build contractor in order to remodel the interior of a home or building. This is a reference to the different designs or constructions of a kitchen. Architects who have met the standards for licensing by the California Architects Board are licensed. This includes completion of the two state-run intern development programs known as CIDP and IDP; completion of the Architect Registration Examination; and completion of the oral examination known as the CSE. 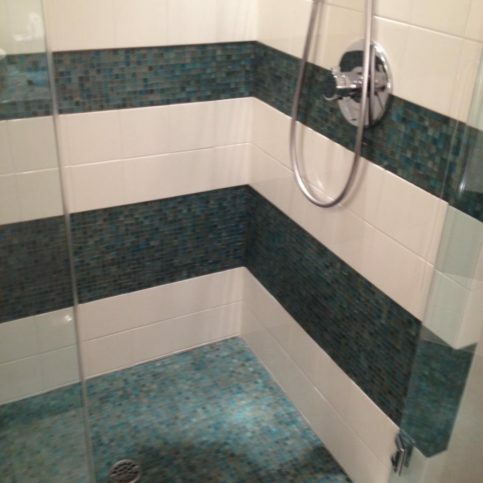 Specialty contractors install particular aspects of a project such as the plumbing or electrical work. The traditional cost that is associated with the materials and labor needed to construct the project. Any constructor who contracts to perform parts of the work of a project that the original contractor contacted to do. This is a reference to improving an apartment complex through renovations that is being rented by tenants, or renters. This is a home that is used seasonally as a vacation residence rather than being lived in year round. Q: Why choose a Diamond Certified design and build contractor? A: Diamond Certified helps you choose a design and build contractor with confidence by offering a list of top-rated local companies who have passed the country’s most in-depth rating process. Only design and build contractors rated Highest in Quality earn the prestigious Diamond Certified award. Most companies can’t pass the ratings. American Ratings Corporation also monitors every Diamond Certified company with ongoing research and ratings. And your purchase is backed by the Diamond Certified Performance Guarantee. So you’ll feel confident choosing a Diamond Certified design and build contractor. Q: What are the advantages of a design/build project? A: There are several advantages to a design/build project that include sole source responsibility; it’s a straight-forward approach to design with greater flexibility; better quality control; participation by the client in selection of materials; rapid response to changes in scope with minimal paperwork, and more. Q: What are the design/build contractor’s responsibilities? A: His responsibilities include quoting on work within his area of expertise; stating clearly in his proposal exactly what will be done, what is not included, what the price will be, and what the schedule will be; producing a functional system that actually functions completely to the satisfaction of you, the client. Q: What are my responsibilities as a client? A: The client’s responsibilities include treating the design/build proposal as confidential rather than shopping the proposal on the open market; checking references of those submitting proposals; and pay the hired contractor for the work done. Q: Why doesn’t a design/build contractor sell design services alone? A: It may represent a loss of alternate design/build business as it ties up a design staff. Furthermore, the typical design/build contractor does not carry liability insurance to cover his designs if they are installed by somebody else. Q: Is it possible to use a specific design/build contractor yet retain competitive prices? A: The answer is yes because typically contractors agree to provide a complete design and construct project on a “guaranteed maximum” basis. They will agree to charge a set amount for a project and no more, assuming the scope does not change. If the costs are less than originally estimated, savings are passed on to the client on a pre-agreed basis. Q: How long will my construction project take to complete? A: That depends on the job. When you meet with your contractor, they should be able to fairly accurately determine an estimated end date. Q: Do design/build contractors operate a clean worksite? A: It is a good idea to check the work of a design/build contractor before hiring to see if, in fact, they operate clean worksite. Check to see if they use floor protectors and put plastic sheets for dust containment. Note if there is a line item in the contract that includes jobsite setup, cleanup, and portable facilities. Q: If I am a contractor, can I work with a design/build team on my project to reduce the cost? A: Many design/build contractors are happy to work alongside their clients as long as they are qualified. However, sometimes lesser skilled, free labor can actually increase the overall cost of a project. Q: How do I know that a design/build contractor is not marking up your credit allowances? A: A quality design/build firm will have open and transparent paperwork. They should be able to show you receipts for what has been purchased, including contractor discounts. Q: Can a design/build contractor give estimates over the phone? A: That depends on the job. 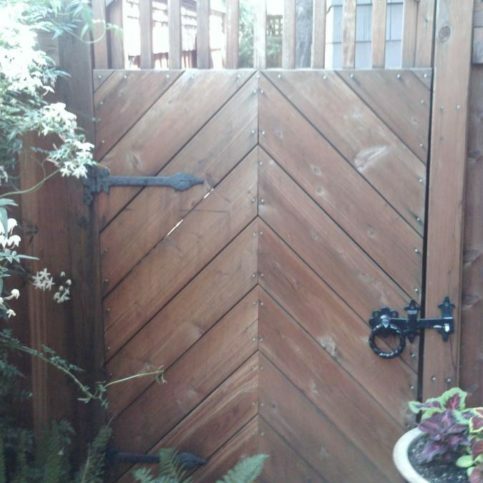 A simple job such as putting up a fence can generally be quoted regarding the price of various fencing materials. But more complex jobs will require an on-site inspection in order to quote an accurate estimate. Q: Are estimates of design/build companies negotiable? A: Generally they are not. A quality design/build firm will give a fair estimate based on current market prices for your community. They may be able to work with you in lowering the overall cost by using different materials or coming up with a more efficient design.